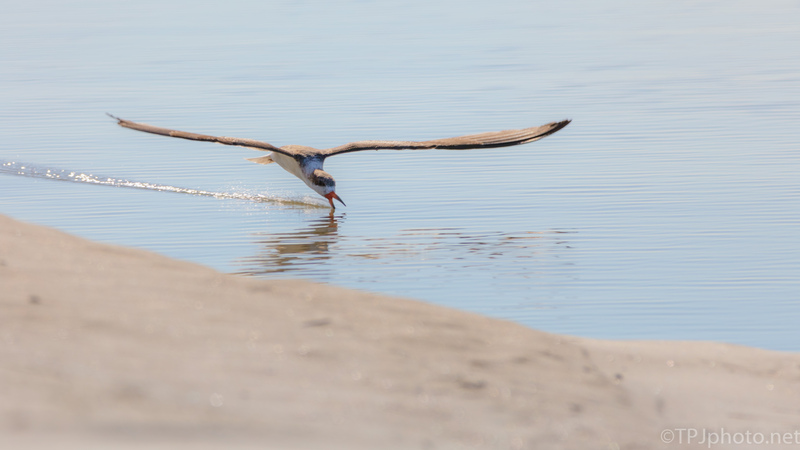 I almost missed this Black Skimmer. At the last minute I spotted the bird coming low towards me. I had not seen a single Skimmer all morning, there should have been hundreds out on the sand bars. Again I almost missed him, lost focus as he past in front of me. 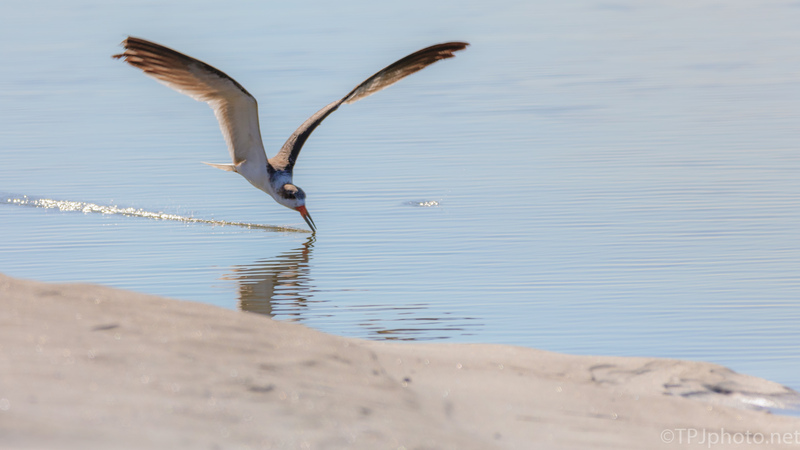 I expected the bird to skim for fish along the shore as he passed by. Not happening. The Skimmer banked just enough to rise up and fly by at eye level. These birds are fast, and being close there’s little time to play with zoom lengths. I either get it right immediately or just watch him go by. 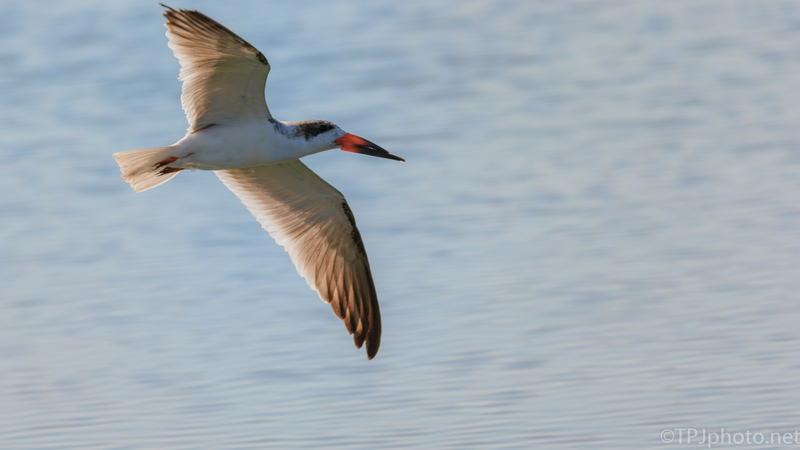 That location is the best spot in South Carolina to catch Black Skimmers. This web site has a number of images from there. They fish just inches from the shore and skim right by if you stand still. i saw that top photo and was really wow-ed.. these are fantastic! Thank you. 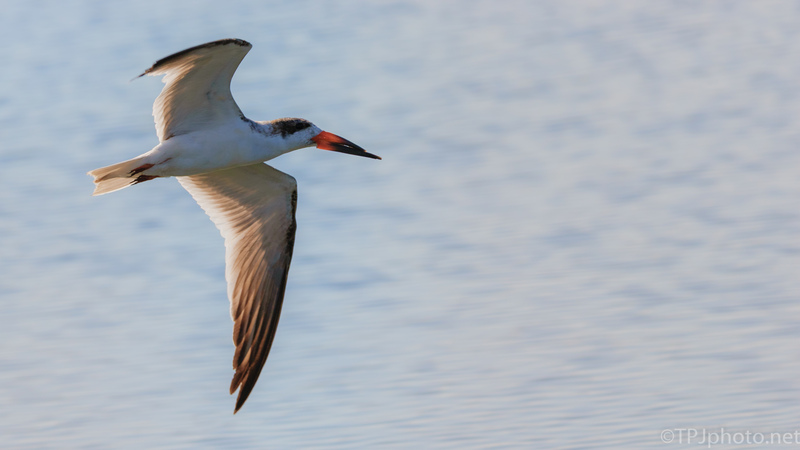 Skimmers are great fun to photograph, in the right spot. Quick and very random.